Disclosure: This post is in partnership with Mabel’s Labels. As always, opinions are all mine. I remember back when Jordan started Kindergarten 11 years ago, and I had to label all his things. It was important to me to make sure I used the very best to make sure the items were correctly labelled and wouldn’t come off, and that I would get my money’s worth. I couldn’t find anything at the time I was interested in. A short time later when I decided writing on all the kid’s items wasn’t enough I began the search again. This time, when I started my research into proper labels, I found Mabel’s Labels. I was a bit overwhelmed by all the choices but was pleased there were so many choices instead of bland, generic labels. I ordered and was pleased to say everything got labelled and was always home at the end of the day. Fast forward to the present, and I have been a user of Mabel’s Labels ever since. Recently I was contacted by Mabel’s Labels to work with them, and of course, I jumped at the chance. Not only had I gotten some label’s at the beginning of the school year for my kids, but I needed more! Who doesn’t label all the things when it comes to kids, am I right? So, I was sent a lovely package by Mabel’s Labels, and I’m extremely happy to share that package with you all today. They even sent me personalized label’s for baby girl who is due in April, but I am not sharing those just yet as her name is top secret! Let me tell you though when I opened the package and saw her name right there in adorable label print – I teared up! It was so nice to see. They also sent along some Baby Belly stickers for baby girl which to my surprise I didn’t’ even know they had, or I would have gotten them for every baby! So cute, right? I am excited to use them, and post monthly on social when she finally does arrive! Now, for the other labels. I am thrilled to say this year in my kid’s stockings I’m putting in some pretty fantastic labels. Which they will be just as excited about as me, we are all lovers of keeping our things safe and making sure everyone knows who they belong to. Not to mention they are cute, personalized and suited to each child! To say I’m excited about the Stocking Stuffer Combo packs we got is an understatement. They are so cute and so festive! Perfect for adding to stocking stuffers! Stocking Stuffer Combo Pack: Add a unique, personal touch to your gifts! 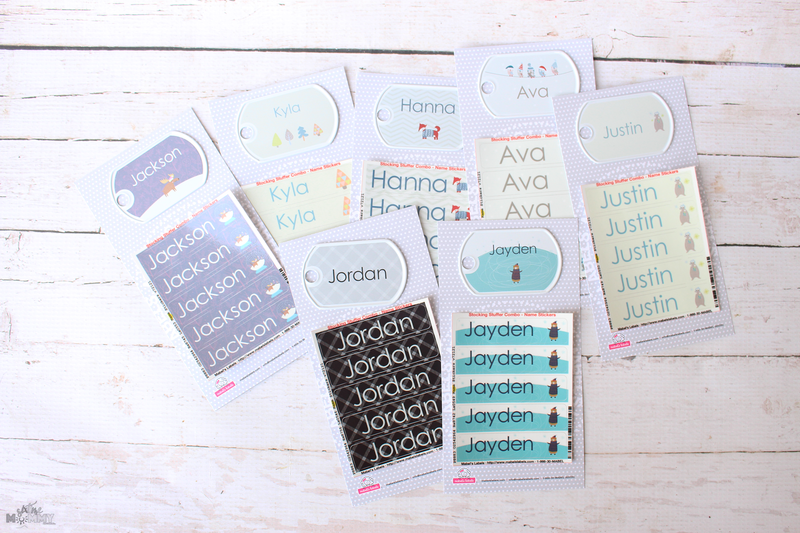 At just $5 each, these sweet little label combos make unique stocking stuffers, party favours and personalized add-ons to other gifts. Choose from our NEW beautiful, timeless designs. Holiday Gift Tags: These festive gift tags are a flawless finishing touch for your holiday gift wrapping. 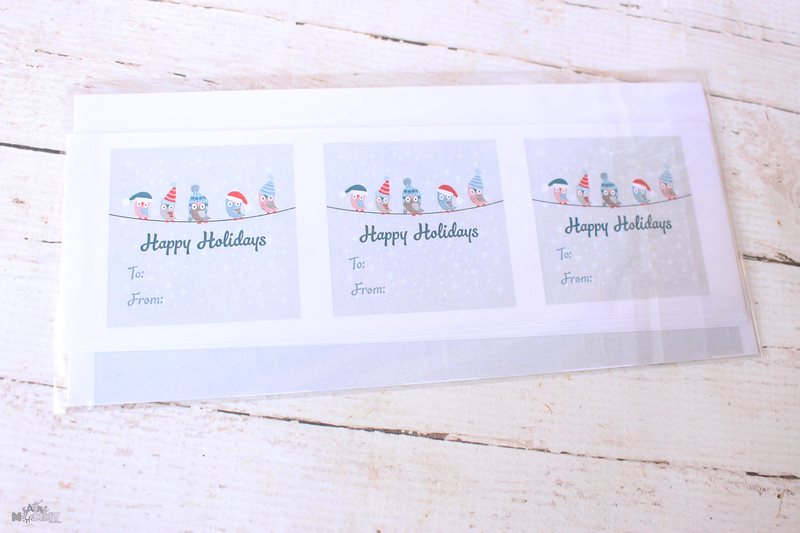 These peel & stick paper labels are easy to write on and adhere simply to wrapped gifts and gift bags. There are 13 unique designs to choose from including Hello Kitty ®! 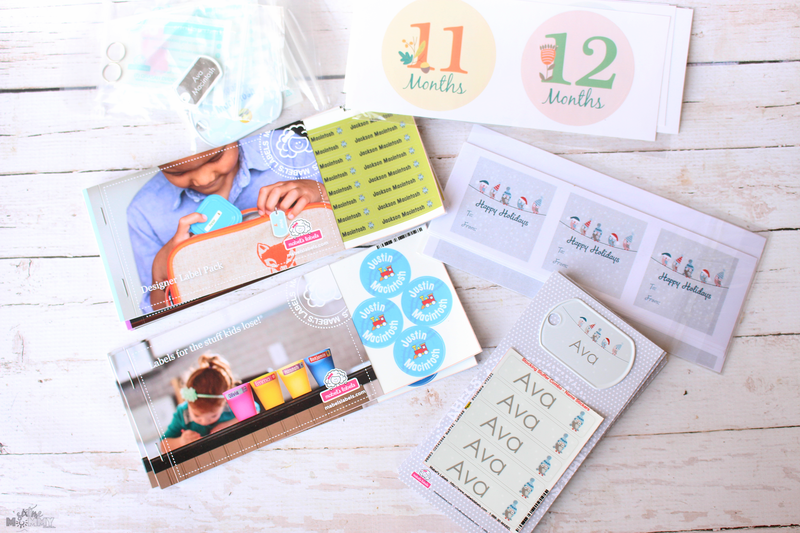 Each package contains 12 square stickers, 12 round stickers and 12 gift tag shaped stickers. 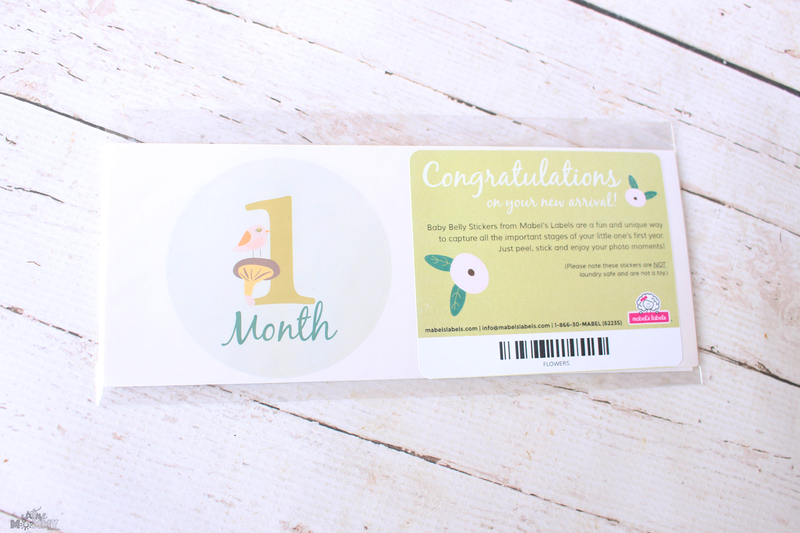 Baby Belly Stickers: These beautifully designed baby month stickers allow you to create a record of your baby’s first year in photos. Simply apply the sticker to your baby’s shirt. They will easily peel off when you are finished taking your pictures! 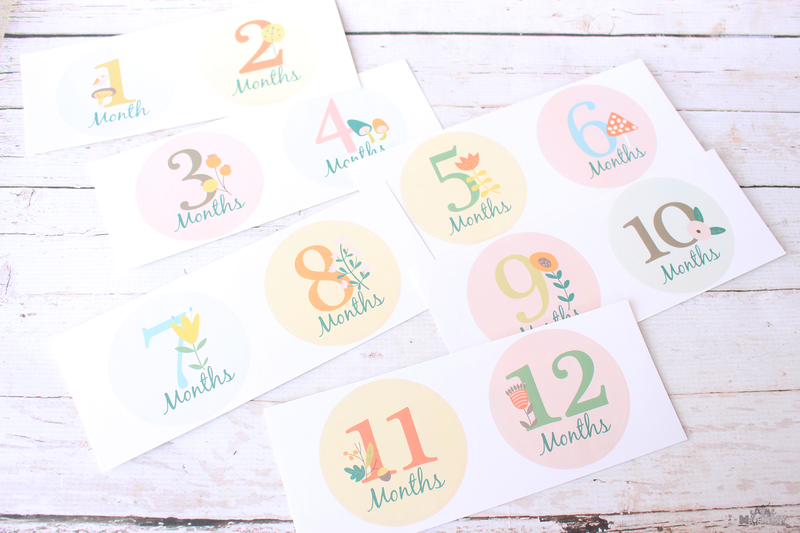 Each set includes 12 stickers (1 – 12 months). Available in 3 gorgeous designs. Baby Label Pack: The Baby Label Pack is a little bundle of UV resistant, waterproof labels and tags designed primarily for all of your little one’s needs. From diaper bags to bottles, onesies to booties, this pack is an ideal baby shower gift for a loved one. While they can’t offer you sleep, they can offer you durable, quality labels guaranteed. Middle School Label Pack: This school combo features a range of modern, refined, stylish designs perfect for students of all ages. 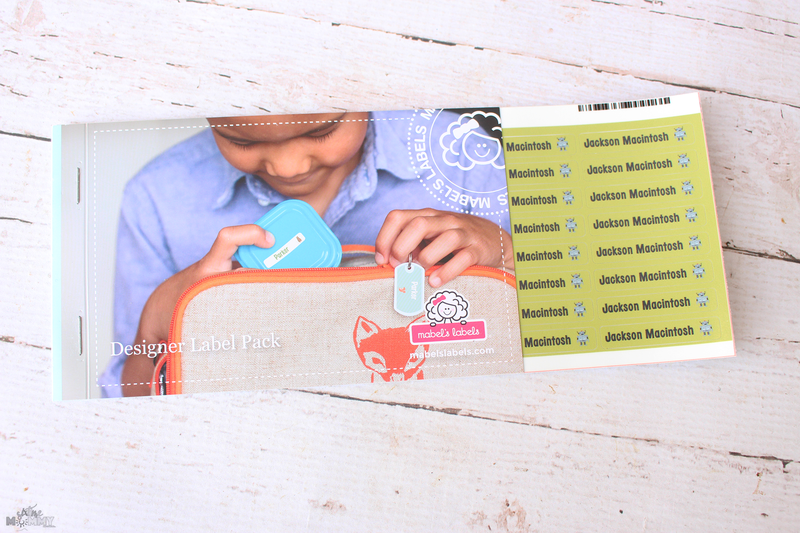 Use these sophisticated labels on school supplies, water bottles, electronics, chargers and much more! These beauties will save you time and money by keeping your stuff out of the lost and found. Starter Label Pack: The Starter Label Pack is an ideal introduction to the Mabel’s product family. 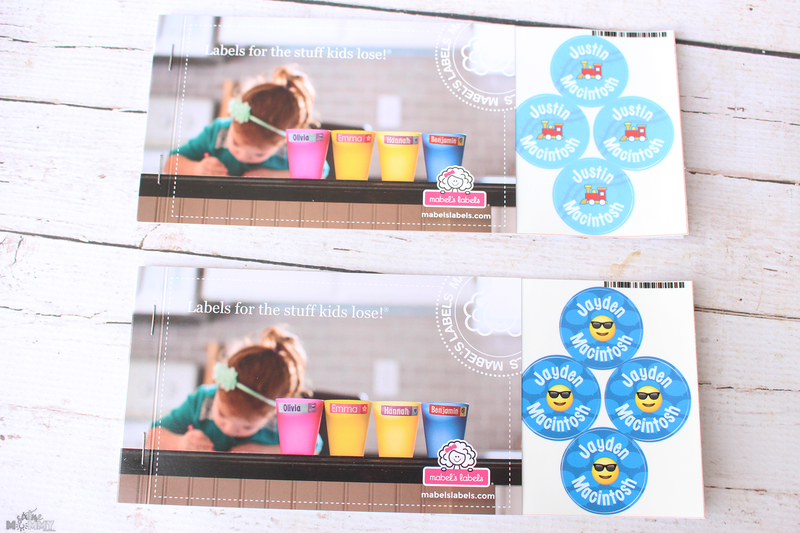 This collection of durable, waterproof labels is an ideal way to help your kids get organized. Use it alone or to complement our other label combo packs. Designer Label Pack: The Designer Label Pack is the most stylish way to stay organized this school year. These beautiful labels are guaranteed to stay put even through the laundry and through the dishwasher. All you need to do is peel and stick! Now sit back and watch all of your stuff return home. Available in 12 gorgeous design sets. We are set for label’s for quite some time now. 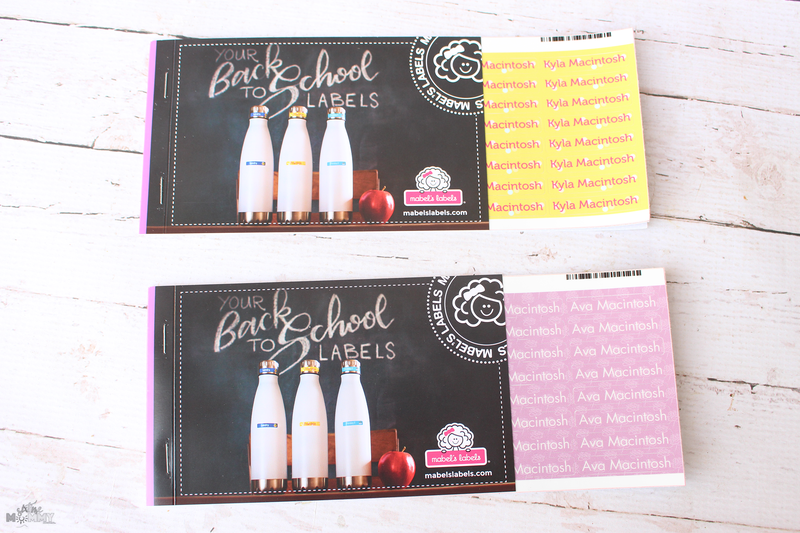 If your kids attend school, daycare, church or even extracurricular activities, these labels are a must-have! They also make really great gifts! They have combo packs for EVERYTHING such as Sleepaway Camp Combo pack, Hockey Label Combo Pack, Dance Label Pack and more! These labels aren’t just for kids though, oh no! They also have a combo pack for you and even grandma! The Travel Pack is excellent for those on the go, and the Seniors Label Pack is ideal for senior living! Stocking stuffers can be hard to figure out especially when kids are already getting tons for Christmas. Adding Mabel’s Labels to stockings is a great option. Need more than Stocking Stuffers? They’ve got you covered with Gift Tags, Holiday Return Address Labels, Holiday Wraparound Address Labels and more! Do you know someone who could use some labels to help simplify their life?